Dice versions of the most popular games has become quite a rage, but the most successful to my knowledge is Pandemic: The Cure. In Pandemic, players co-operate to stop the spread of four diseases across the world. This idea is abstracted out into the playing of cards and the placing of disease cubes. In Pandemic: The Cure this same idea is abstracted into dice. Dice in the game are rolled both to see what options are available for each player to take and to represent the spread of disease across the continents. Careful tactical planning will have to be utilized in order to win. Each player is assigned a different role which gives them certain strengths in fighting the spread of the four diseases and you really do get the sense that you have a different job to do. The variability in roles provides for a lot of replayability. With dice rolling there is obviously a lot of luck involved but thoughtful decision making definitely makes a difference. The game plays quickly (probably 30-45 minutes) and most often seems to generate multiple plays (particularly after a loss). The dice are of high quality and the cards are fine. The box is overly big and you can easily take the parts out for a great game to pack when travelling. If you like co-ops and/or dice rolling this game is a must have. It is easy to introduce to new players and non-gamers. It is more abstract than Pandemic but frankly it has nevertheless replaced Pandemic (a former favorite) for me and my family. This is my most played game from 2014 and I think is an under-appreciated gem. Castle Panic is a simple little co-op that is an outstanding selection for families or a group with young or new gamers. Castle Panic is one of the first games to get my family into boardgaming so I’m loathe to say anything negative. However, while it can work well with a group of adults of a casual mindset, it just isn’t going to satisfy those who take their gaming seriously. I do hurry to add however that my understanding is that the expansion to the game makes it quite a challenge and a more meaty experience for serious gamers. Simple. Straightforward. Fun. Each player on their turn draws up to the correct number of cards for their hand. You have the opportunity to chuck one and draw another and trade one to a teammate. Then, you utilize all the cards you can and play passes. The goal is to destroy the oncoming monsters before they destroy your castle by running into it. Monsters are in one of three colored parts of the board and at one of three levels. To hit them, you must have a card of the correct color and level. Monsters have up to three hit points. Each turn you also draw two new monster tiles to replenish the board (some of these tiles can chain together to bring out an army of monsters) and all monsters present move forward one level. As the monsters march inevitably forward legitimate tension is generated as you fear for your castle and laughter frequently follows someone’s inevitable bad draw that puts lots of monsters out to fight just as the team thought they had the situation under control. Castle Panic is a fine looking game. The easily built castle in the center is nothing to write home about but serves its function well. Importantly, is does give a sickening feeling when you are seeing it destroyed. The cards are high quality with nice cartoonish drawings appropriate for any age. The monster chips are also of good stock with the same fun artistic style. I do wish they had included a bag in which to draw the tiles but it is a minor quibble (and one is included in the expansion). At the end of the day, you win Castle Panic far more than you lose. Winning is fun but is the reason why Castle Panic gets a reputation for being for younger gamers (along with its simplicity of play). Still, Castle Panic provides a very nice entry into the cooperative game genre for young and old alike. The theme is fun and accessible even for folks who don’t like fantasy due to its cartoon approach; the theme also makes sense even for those who come to a game assuming it has to be every man for themselves. For those steeped in fantasy or cooperative gaming, Castle Panic will be pleasant but will ultimately be considered a regression from other more “serious” fare. Therefore, Castle Panic is a great place to start for those new to the hobby and/or for those with young children but is not probably worth the investment for others. King of Tokyo is an excellent, light, dice-rolling game of pushing your luck that is fun for all ages. In it, you play a monster competing with up to five other monsters for control of Tokyo. The first monster to kill off the others or reach twenty victory points wins the game. On your turn you roll six dice three times keeping the results you want along the way (in other words it is Yahtzee). At the conclusion of the three rolls you take the actions the dice you kept (and ended up with) demand. Sets of numbers (either ones, twos, or threes) give you points, lightening bolts give you “money” to spend, hearts allow you to heal, and claws attack your opponents. Two crucial elements are moving in and out of Tokyo with the claw attacks. When in Tokyo you are able to damage all other monsters at the same time but their attacks all damage you (and you are not allowed to heal). Thereby, you have to jump in and out strategically to stay alive. Also, as you accumulate the lightening bolt points/”money” you have to decide what special abilities and events to purchase. Only three are available at any one time and some are very powerful such as giving you an extra head (an extra dice), various abilities that allow you to do more damage or absorb more, and ways to score more points. As already noted, the first monster to score 20 points or to eliminate all the other monsters (the far more common outcome in my experience) wins. The components are excellent. The artwork is fantastic on the cards and for the monster boards. The Tokyo board is small and some people don’t like that the monsters are cardboard stands but I think they look just fine on the table. The dice are big and satisfying to roll. The cubes that mark the lightening point money are adequate as are the tokens that mark some of the cards abilities. The number of ability cards you receive is extensive and this is crucial in offering lots of replayablity. King of Tokyo could be considered tough to rate because if compared to all other games it is pretty light and simple. It isn’t going to scratch your itch for a brain-burning marathon of difficult decisions and strategy. However, if you judge it on its own goals, it more than deserves high or even perfect marks. Bottom line the game is just fun and provides plenty of laughs for people of all ages. The cards and abilities provide lots of replayability and you will find yourself constantly calling for “just one more game.” This is a great, quick, and fun game of dice rolling, trash talking, and pushing your luck that belongs on most gamers’ shelves. Richard Garfield is part of game design royalty and with King of Tokyo he has produced a prince of a game. Revolver is a two player card game produced by Stronghold Games. In it, you play either the forces of law and order led by Colonel Jack McReady or the bank robbing, evil gang of Jack “The Crow” Colty. Each player gets their own deck of cards which they will play on a shared battlefields as The Crow and his gang attempt to escape on the 3:15 train or to Mexico. In addition to their deck, the player controlling The Crow also has 16 cards laid out in front of him representing Jack Colty and each member of his villainous gang (including his dog bullet). As play proceeds, the forces of law order methodically eliminate the gang while Jack Colty attempts to stay alive long enough to escape. If Colonel Jack McReady eliminates the gang before Colty escapes, he wins, but if not, the Crow flies off with the loot and victory. 1) Absolutely dripping with a great theme. 2) Real tension is generated for both players as they attempt to accomplish their goal despite the best efforts of their opponent. Games are truly not determined until the end as each games typically comes with enjoyable swings of momentum. 3) The play is pretty intuitive and quick. Games are typically under a half of an hour allowing you to play multiple games or squeeze in a game with limited time. 4) The asymmetrical play decks are extremely well designed and balanced and provide high replayability especially since the winning conditions and style of the decks are different. 5) Quality of the components is high. Cards are of nice stock and the artwork is fantastic. Game comes in a well organized tin. 1) For a simple game the rulebook is heinous and the FAQ document available on line is not much better. Some of the explanations I have seen on line from the designer seem like he is making it up as he goes. As it turns out, a key rule in the instructions was simply printed incorrectly. The explanations of the iconography and how the cards are used is byzantine at best. 2) The biographies printed in the rulebook of the various characters in the game could not be worse. I wish I had never read that section and try to forget what I saw. The art for the theme is fantastic but the write-ups for the characters totally undermines it. You are much better off just making up your own story to fit with the drawing of the characters. The biographies provided basically just say the bad guys are actually good and the good guys are actually bad. Please. 3) A strong argument can and has been made that the game is playing you rather than you playing the game. In other words, while the decks are balanced it does make quite a bit of difference which cards you draw in the game (and you are not going to draw all of the cards in your deck). Both decks have powerful cards, but if one side draws them and one side doesn’t, the game may seem determined by luck rather than skill. Now, many card games are determined by draws, but since in Revolver you are not actually constructing your own deck it will frustrate some. Is there skill involved and significant choices to be made as to which cards to play and when? I would argue yes, so this problem is certainly mitigated. Nevertheless, it is going to bother some folks. Revolver is somewhat difficult to assign a fair grade to as there are real positives and real negatives to the game. Ultimately, the majority of the negatives can be easily overcome (you can find explanations on the rules and if you avoid reading the biographies you will be set with theme). If you are not one that is insistent on designing your own deck, you are going to enjoy this game. It ultimately is a lot of light fun with plenty of action that begs for hamming up the results as you perpetually gun down your opponent. Therefore, despite its flaws, Revolver is a great game for two when something fast, easy, and entertaining is called for. Though experiencing some unavoidable backlash after years of “hotness,” deck-builders continue to generate plenty of interest in the boardgaming community. While Dominion is the dominant player in the market, AEG’s Thunderstone is perhaps the second most popular in this genre. Thunderstone Advance is the latest expansion of this franchise and more importantly is really a re-launch of the title. If you are new to Thunderstone, this is the place to start. I am not the most experienced with the deck-builders but the important facts are not disputed with Thunderstone Advance. With this re-launch AEG fixed some of the minor quibbles people had with the earlier Thunderstone which included standardizing keywords and improving some iconography as well as adding a few features like familiars. Importantly, Thunderstone Advance now comes with a high-quality two sided board to organize your gameplay. The Advance cards are usable with old sets but again if you are starting new, start here and it probably isn’t going to be worth trying to translate old cards into this new and improved format. Not to worry though, Thunderstone is a cornerstone franchise of AEG and expansions for Thunderstone Advance are on the way. The premise is simple but engrossing. Starting with a deck of twelve basic cards representing a new party of adventurers you draw up a hand of six cards and then choose to either 1) Go to the village to purchase improvements for your party; 2) Attack into the dungeon; 3) Rest (i.e. permanently discard a card you don’t want in your deck); or 4) Prepare (keep a few cards in your hand while discarding the rest so that you can draw up a monster hand to accomplish your current goal). Each turn you draw a new six cards and decide which of these you want to do before you discard the lot of them. Through this process, you steadily improve the power of your deck while your opponents all do the same thing. The dungeon is housing progressively challenging villains and when the Thunderstone Bearer appears and is defeated the game ends. At game end, each player tallies up the victory points he has earned which come from the possession of certain cards (primarily monsters that you have defeated along with high-powered adventurers you have leveled up or hired) and the person with the highest score wins. The mechanics of the game are ultimately very similar to Dominion so if you have a strong opinion of Dominion it will probably carry over. My understanding is that the number one complaint against Dominion is a lack of theme so here Thunderstone really shines. The theme drips from this game and the components are fantastic with tremendous artwork for all the cards. The theme is what drew me to this game but while I wanted to love this game I was surprised to find I just didn’t. While I liked it, I did unfortunately find it a bit of multi-player solitaire, the choices of cards to put in the deck seemed limited, and the game goes on for a LONG time. However, this game was saved for me by trying the “epic” variant designed by Richard Launius and Tom Vasel. In this version, instead of using just a few groups of cards, all the cards are played with in each game by mixing them in large stacks. Thereby, variety rules the day and you really get the sense you are constructing a party giving your deck a unique feel. In addition, because you don’t know what is going to pop up for sale in the village, you have to monitor what your opponents are doing and what is available to them as you may want to block their efforts. This adds a level of interaction and strategy missing from the standard rules and ends that sense of multi-player solitaire. The game still takes a surprisingly long time to complete but I think this can easily be adjusted by tinkering with how many monsters one puts in the dungeon. Regardless, there is always plenty going on so it isn’t like you are sitting with nothing to do. Especially with the epic variant addressing my only complaints (and the rules for the variant are included with the game), I don’t hesitate to say that if you are looking to delve into the deck-building genre (or add another option to your library of deck-builders) and you like the fantasy theme this is THE place to go. Epic Variant to put it over the top! If you are looking for a deck-builder and/or love fantasy themed games, Thunderstone Advance is lightening in a bottle…er…box. The Lords of Waterdeep by Wizards of the Coast is a traditional worker-placement Euro style game set in the famed Forgotten Realms city of Waterdeep that is more than worthy of being added to your collection. With Wizards of the Coast not known for Euros and Euros not known for adopting D&D/Fantasy themes, wariness was naturally called for when considering this game. Put your worries aside though as this game delivers fun in spades (and of course wizards, fighters, thieves, and clerics). At the beginning of the game, you are secretly dealt a Lord of Waterdeep identity that will help direct your focus in Quest selection. Played through eight rounds, you assign agents (the number depends on the number of players) to recruit adventurers, secure gold, purchase buildings, and engage in intrigue among other tasks all to gain you power (read: victory points) in Waterdeep. 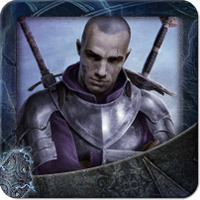 Claiming quests (by securing a Quest card) and completing them (by fulfilling the requirements of the quest card – usually with a set number of adventurers that you have recruited) is the primary way you win the game. At the end of the eight rounds, you will add points to your score based on your wealth, remaining adventurers, and secret rewards based off of your completed quests and your Lord. These points are significant so winning the Lords of Waterdeep is always something determined at the very end of the game rather than the beginning or middle. Two particularly nice options for your agent assignments deserve specific explanation. One, is to purchase buildings that immediately create a new place for agents to go. The rewards at these sites are typically very attractive but grant benefits to the owner of the building in a mild way as well. Consequently, purchasing these tiles is an attractive option as it either provides you a great place to go or generates resources for you when your opponent does (see my game tip entitled “Locations, Locations, Locations!”). Second, players can also send their agents to a locale that allows them to play Intrigue cards which do a variety of things to help you win the game (sometimes they help you directly while others thwart your opponent). This location is particularly nice because it allows the agent to be reassigned at the end of the round effectively providing a “two-for-one” move option. These sites both speak to another great facet of the game – you are always picking between places you WANT to go rather than picking between worthless choices. Sure, you are not always going to get to go exactly where you were hoping but the game remains constant fun rather than frustrating because you never feel like your turn has been simply wasted. Reasonably priced, it is certainly worth noting that this game’s components are gorgeous. The board is striking in appearance and very functional in design. Admittedly, one might quibble with the colored cubes that stand in for wizards, fighters, thieves, and clerics but otherwise all of the parts are top notch and really add to the flavor of the game. Both the Quest and Intrigue cards include dramatic artwork that if examined can draw you into the story. The building tiles are nice and come with corner markers so ownership of the real estate is never in question. Instructions on the cards, tiles, and manual are all very clear and intuitive. Not so incidentally, the insert in the box is quite simply the best that I have ever seen – there is a place for everything and everything fits neatly and securely in its place. Everything is designed to pop up when pressure is applied so there is never frustration with getting out the sizeable number of pieces required to play. I am anticipating expansions for the game and if these come they will not fit in the original box, but otherwise if there is an award for best insert, 2012’s winner has been found. This game offers tremendous replayablity through the nice collection of Quest and Intrigue cards, the differing emphases provided by the host of different Lords, and a fun mechanic that means choices are always going to be different depending on the opponent (s). Nevertheless, I will say that a Lords of Waterdeep expansion also seems a natural. Additional Quest and Intrigue cards would be an inexpensive and welcome way to expand replayability. Some have and will complain that the theme is “pasted on.” However, I frankly think of this as a positive not a negative. The “pasted on” nature of the theme allows the many folks who don’t care for the fantasy theme still to fully enjoy this easy to understand strategy Euro. For those, who do love the fantasy theme, the names of the quests and components, the tremendous artwork, and the beautiful board etc. should provide more than enough grist for imagination mills (something fantasy and D&D enthusiasts should have well developed already). In other words, this game is tremendous for it is possible to either ignore the fantasy theme or embrace it depending on your preference. The game serves two to five players and appears to scale well with all groups. I have played primarily in a two-person format and have found it very enjoyable. With only two players, many, many quests will be completed but players still have to thoughtfully prioritize their moves. The game allows and encourages player interaction but at the same time, you primarily concentrate on your own efforts so the environment is a fun competitive one rather than hostile. The game moves along quickly and time even faster with the game. Don’t just stick your toe in, dive right in to The Lords of Waterdeep! One of the best signs of a great game is that it generates lots of “Remember When…?!? Moments…in other words, times well after the game when you are laughing with friends and family by recounting great moments in your gaming past. And, those moments are the reason you should run not walk to your local gaming store and buy a copy of The Resistance. I personally have not had a game generate more of these moments so quickly. The game is quite simple especially for those who are familiar with Mafia or Werewolf. At the beginning of a game everyone is dealt a card face down that identifies them as a member of the Resistance or an evil spy working against the revolution. The number of spies varies depending on the total number of players (the larger number of players, the larger number of spies). These spies get an opportunity to identify themselves to each other and then the missions begin. No matter what, there will never be more than five missions so the game plays in five rounds. Each round a different leader selects who goes on the mission and, if there is consensus on the choice, the mission takes place. Each person on the mission is given a success and fail card and they then secretly submit the card that corresponds with what they want to have happen. Once all cards are submitted, the cards are mixed and then revealed which determines if the mission succeeded or failed (essentially one failure card means that the mission fails). At that point, the accusations will quickly start to fly as a new leader selects members for a new mission, which usually requires taking even more members. The revolutionaries win if three missions succeed while the spies win if three missions fail. The game supports 5-10 players which is wonderful for large groups. I’ve played with almost every number and have enjoyed it every time although I’ve found the spies are pretty easy to figure out with 5 players while higher numbers makes it very difficult for the loyal members of the resistance to identify all of the spies. The components are simple but the artwork on the cards is nice and is themed towards a futuristic world. There is a small board to keep track of the score and wooden pieces for it — all are high quality. I ordered the game from my local game store which didn’t have it in stock and when I showed up to get it I frankly was taken aback by how small the box was and was initially disappointed. However, now I love the small size of the box and components as I realize how convenient this game is to take anywhere and how often I want to take it. Accusations, tension, and conspiracy theories are generated almost immediately in the game generating a lot of memorable fun. Players will have to be mature about it as the game requires lying to people’s faces, but most adults can handle it and will beg for more as they try to redeem themselves. The five rounds move quickly and you can be done with the game in 30 minutes (although typically everyone wants to immediately play again). My experience is that gamers and non-gamers alike can’t help but enjoy themselves. If you ever have the opportunity or need to play games with a larger number of people this affordable game is a definite buy and definitely has immense replay value (even before considering the included expansion). So, don’t resist, buy this game and start piling up those “Do you remember when….?! ?” moments! Summoner Wars is simply a great game and many of you already know that so I’ll hold off for a moment on another summary of the game. As a casual gamer I thought I might have one important thing to add though to the many reviews that are out there and that is this: the game is more of a “main course” than some indicate. I most often see this game described as a “fast filler” but that has not been my experience with the game really at all. My wife and I really enjoy playing it but despite the fact that neither of us is prone to “analysis paralysis” our games go pretty long and we are mentally concentrating the whole time so it can be a bit draining. Admittedly, if we played more often we would no longer have to be learning the cards as we plotted our strategy but just the same, I would liken this game more to a fantasy themed, dice rolling chess rather than a fantasy themed, dice rolling checkers. My wife and I like filler games such as Lost Cities and neither of us consider Summoner Wars to fit into that light category. We both think you should get Summoner Wars, but if you are interested in it because you are looking for breezy play, this isn’t the right game. If you are looking for fantasy chess – look no further. The rest of this review is really only for those unfamiliar with the game though I still will not try to offer the fullest description. Keeping with the “chess” theme though, you play a “summoner” who can bring forth an army and cast spells to defeat the other “summoner” in the game. Once one summoner dies the game ends. You play on a large squared, chess like board and continually move your pieces to attack (you roll dice to see if you are successful) and gain positional advantage. You also are constantly trying to build magic points up (by discarding cards and defeating your enemy in combat) so that you can bring forth more pieces or perform various actions. You have a small deck of cards and will see every card in a game though you will have to make choices on which ones to play and which ones not to. The tide of war can turn quickly in the game which is nice so that you don’t feel eliminated early. If you are new to Summoner Wars, this set is definitely the one to start with as you get the nice playing board and six different decks to play with. The real strength of Summoner Wars is that the different armies are truly balanced and really do feel very unique from one another. The artwork is fantastic and the personality of the army really shows through in how they fight and maneuver. More decks are available to purchase which you almost invariably will want to do despite the fact that you really don’t need to since the set comes with six great ones. This is a fantastic two player game that I highly, highly recommend. I just know I had a little bit of a misunderstanding of the game when I purchased it that I’m hoping to help others avoid. Don’t get me wrong, this is not a dense wargame by any means, but at the same time, it isn’t pure “filler” either. If you are looking for a fantasy themed co-op game board game I really don’t know how you are going to realistically do better than Defenders of the Realm. Other reviewers have summarized the game so I don’t know if it helps to rehash known facts. In sum, the game is a nice balanced challenge that takes around an hour and half to play. You select from a variety of fantasy characters and each really does feel distinct and accurate with artwork that gets you into the role. Strategy is essential for victory but dice rolling ensures that the best laid plans might go astray (and I view it as a plus since that reflects life and the fact that great fighters/strategists do sometimes lose). Excellent components and brilliant design ensures immense replayablity as do the many expansions (much of which are free) for the game. Interest in fantasy stories is a must but as long as that is there the appeal is natural and strong (my wife and six year old son LOVE to play it — yes, he needs some guidance on what strategy to employ next but remains engaged and excited though all our turns, plans, and attacks which I think speaks to the dynamic and engrossing nature of the game). At the end of the day, the few criticisms I’ve seen of the game tend to be fairly illegitimate as they are complaints about the game not being something that it was not trying to be. If you want a fantasy theme, it has it in spades. If you want a co-op, you certainly must do so to win and interaction flows naturally and continuously. If you want a board game, this gives you great variety, flavor and challenges without becoming a full blown role-playing game or a nine-hour affair. If you want the game self-contained you needn’t buy a single more thing for tremendous replay value yet the game is magnificently supported with both free and purchasable expansions that include game scenarios and new characters for both the forces of light and darkness. If you want to play with friends or family, anyone who is interested in fantasy themed games can jump right in and enjoy immediately. It really does perfectly accomplish what it sets out to do. It is reasonable of course to be concerned about the rather daunting price (and so reading reviews to see if this game is really worth it is essential and I do hope you won’t rely solely on me!). However, as I noted from the beginning, if you are looking for a fantasy themed, co-op board game for use with friends and/or family, I personally don’t know of a better choice and I am very pleased that I made the investment. I’ve already suggested in another tip that you have at least one female and one male in your tribe. I also suggest that each gender specialize. In other words, any time a new recruit comes available that does the same thing as your male or female does (the gender has to match), make an effort to recruit that person. Remember, you activate one male type and one female type per round so the power of compounding really takes off. A specialized tribe is FAR more powerful and efficient than a well diversified tribe (your collection of powers might be neat but only one will kick off each round). There are lots of paths to victory in Bora Bora and you do not have to focus on population to win. However, not having at least one male and one female in your tribe means you are giving up a free bonus every turn that most of your opponents are getting. If you want to store this expansion and the base game in one box yet keep the great inserts here is what to do. Take the Scoundrel insert out of the box and put it on the original insert (it will fit over the top of it with both loaded). You can then put the original lid over the top insert and Voila! you have it all together in one deep box. I’ve suggested before that allowing players to select their character can aid in the enjoyment of the game. However, especially with new players this can lead to analysis paralysis in getting the game started. A better option then especially with new players is to deal two character cards to each player and then allow them to pick the one they like best from the two they were dealt. It adds a fun element to the game for experienced and non-experienced alike, allows for an embrace of the role, and avoids “ap” — Bang! Like perhaps all games, Bang! is at its best when everyone at the table enthusiastically embraces the game’s theme. Few themes have more potential for fun and frivolity than Spaghetti Westerns making Bang! a great choice on game nights. The designers of Bang! helped the odds of people getting into the act by providing many different characters to play with humorous names and recognizable personality types. According to the rules, you shuffle the character cards and deal the character cards out randomly. While that works, I suggest allowing people to select the character they want to play. Doing so provides some excitement as people all scramble to look them over and snag the one they like the best. Much more importantly though, by getting to select the role they play, people are much more likely to fully adopt the role and play it out. Getting dealt some character whose personality (or abilities) are not attractive to you can start the game off on a bit of a sour note (especially for some). On the other hand, getting to proudly read off who you selected seems to encourage a festive spirit that is contagious. The next time you play Bang! allow folks to choose who they want to play and watch how folks are much more willing to bring the characters to life. If gotten in an early round there is no question that the Quest that grants the lieutenant (an extra agent to assign) is the most powerful card in the game. While the quest does require a lot of resources and awards no victory points directly I am still increasingly convinced the card is overpowered. Several times I have played the game a person has gotten the lieutenant in the second or third round and when that happens it is curtains for the rest of the players (and worse yet everyone around the table that has played before knows it). To avoid the sinking feeling of the inevitable victory (and what drains the fun out of a game more quickly than that?) I’ve instituted a three round limit to the lieutenant’s usage. Once the three rounds are up, the card is shuffled back into the deck so there is a potential to see him again. I would be curious if people think the limit is too short (I almost suggested a four round limit) but it seems about right to me for the resource requirement to get him. If you can only use him for three (or even four) rounds, it isn’t a no-brainer to grab him and if you do, he must be used intelligently to be worth it. For the general increase in strategy and primarily to avoid the sinking feeling that the game is over in the second or third round I recommend limiting the lieutenant. A lot of 7 Wonders players will advise you that going after military victories is a waste of time. However, a perusal of the results from the World Championship of Boardgames shows that all the finalists made the military a key part of their civilization. While you certainly don’t want to get bogged down in an arms race, military victories do offer you the potential of 18 points while allowing you to drop both of your neighbors 6 points – in other words, nothing to sneeze at. My favorite approach to military in 7 Wonders borrows a page from modern American military tactics: Shock & Awe. With Shock & Awe you try to win military victories on the cheap by yes, shocking and awing your neighbors. To do this, wait on buying military in the First Age until the last couple of hands; in other words, lull your neighbors into thinking they don’t have to worry about military and then “shock” them at the last moment by laying down a military card. In the Second Age, you reverse the strategy by playing down a military card as quickly as possible in order to “awe” your neighbors. By playing a military card quickly, you show your opponents that they are going to have to commit serious attention to pass your military capabilities. This situation encourages your neighbors just to give up on the military and concentrate their efforts elsewhere. Typically, you will even be labeled a military tyrant – something you should encourage. Once labeled this way, your neighbors are even less likely to bother challenging your supremacy. Thereby, you get all the military points without actually committing much to the effort. At this point, just one military card in the Third Age will likely assure you a complete military victory through sheer intimidation and numerical supremacy. Of course military prowess alone will not assure you of victory; nevertheless, you just might be shocked at how often it will lead to an awesome civilization that wins you the game. The secret identity part of Bang! is not meant to last long, however for outlaws (particularly) and renegades (and sometimes even the deputy) I encourage you to prolong the mystery as long as possible. Too often players are eager to start flopping down Bang! cards in the first round which quickly reveals what role they have. Instead, when the Sheriff starts shooting blindly to begin the game, if you are an outlaw, try to convince him you are a deputy through verbal manipulation. When it is your time to play, look to get down better weapons, horses, barrels and the like rather than actually firing your gun at someone (you can always apologize for not shooting by claiming a bad draw or occasionally perhaps even fire at an outlaw ally to “prove” your loyalty). The goal here is to keep the Sheriff and his actual deputy confused and consequently not working optimally as a team (and sometimes you can even get the sheriff to unload on his own deputy – which is hilarious). Even more importantly though, rather than immediately painting a target on yourself, by slow-playing you will usually be left alone while you set up your hand. With a couple of unmolested rounds under your belt, you should be set to do some serious damage when you reveal yourself through an ambush (you typically have made yourself harder to hit as well — a good thing since retaliation is now on its way). By compiling perhaps a volcanic gun, a duel card, Indians etc. combined with a Bang! or two you can do serious damage to any target you decide to bring down. The suprise attack also causes discombobulation in your target as they have to quickly readjust their thinking and plans – this frequently allows your new found allies to finish the job as the sheriff distractedly changes plans and splits his efforts. I highly recommend the expansion Merlin’s Company when playing Shadows Over Camelot but many might not want to make the financial investment. For those that don’t, consider the following. One of the best thematic elements added by the expansion is that knights cannot automatically move to the quest that they want. In the expansion, you have to draw a movement card that either allows the movement, “aids” the movement, or hinders it. The most significant by far of the trio is the hindering of the movement because the knight has been lost, attacked, or even captured. Replicating this without the cards would be difficult, but to my mind, this thematic addition is nice. So, consider the following to increase the game’s challenge. Every time a knight moves to a quest have him roll the already present D8 and on a roll of one disallow the movement and end the turn with the thematic explanation that said knight was lost, attacked, or captured (you of course could roll again to determine which and have varying penalties depending but let’s not get ahead of ourselves). Of course, due to the difficulty of the game, this addition might aggravate some players but frankly, I think they would just be being poor sports. If you have a fun group, the more likely result is guffaws and good-natured ribbing of a knight who is so incompetent they cannot even get themselves to the quest. Saving Camelot is rightly a difficult task, this addition adds a nice thematic flair, and it adds a little more excitement to the otherwise inherently boring “move” action for players. Playing Shadows over Camelot can frequently feel like a plate spinning contest as problems crop up all over the board. Consequently, it is tempting to send a Knight to each problem area in order to at least “hold down the fort” (my apologies for mixing metaphors). In most instances, however, this has proven to me to be a bad strategy. Instead, whenever possible, concentrate your numbers on one quest so that a quick victory is assured and your team can turn their attention to another quest, rinse, and repeat. In other words, get three, four, or preferably more knights all on one mission so that Excalibur, the Grail, or a Pict/Saxon war can be won quickly. By doing so, far more life points can be gained, cards won/shared, and you stop any traitors from wasting time or cards (such as when they sit at Excalibur and discard valuable card after valuable card b/c they are the only one there). If you happen to be playing with the Merlin expansion (something I highly recommend), I believe this strategy is even more essential as it is difficult to hop around to different quests and if you can get Merlin to the site (something that is likely with most everyone moving there) you all will get to draw more cards — and these resources are ultimately how you beat this game. I think some might fear that winning these quests quickly will lead to siege engine trouble but I think that is short sighted. You have to ultimately win these quests anyway, so the quicker the better. Yes, after winning one or two, your best fighter will need to concentrate on defeating siege engines but that is the nature of the game regardless. And again, with more knights on a winning quest you have more life points to sacrifice (thereby avoiding siege engines) and traitors become far less effective (they either become more obivious as they argue they should go off alone or they ultimately can cause less trouble by being forced to join in with the group effort so they aren’t discovered). Likewise, for those that fear a plate dropping (to return to my original metaphor), you are going to have to allow a plate to drop now and then anyway. Besides, no time is really lost (and it seems like it is gained) by everyone finishing one quest and then quickly moving to the most problematic area in order to win again rather than one sole knight slow playing an area by himself. Finally, concentrated numbers is just more fun because it accents the team cooperation of the game. With everyone spread out, the game can become a little stale as you wait for your turn to come and then play one card that leaves you still miles from victory. In contrast, working as a team and consequently seeing fast results builds team morale, confidence, and ultimately fun (the real reason you were playing the game). So, for good times and a more effective defense of Camelot, remember that there is strength in concentrated numbers! Perhaps the spies don’t need any help in this game but here is a trick that is usually good for a win and a bit of fun. If you are a spy, consider picking a fight with a fellow spy. Undoubtedly, one of you will be more successful than the other of convincing the rest of the group that the other is a spy but the key of course is just convincing the group that obviously it must be one or the other. Good laughs result (at least for the spies) when it is eventually revealed that the two apparent “enemies” were actually working together the whole time! Almost every time I have lost this game it has been because the land has become too tainted. Consequently, I have adjusted my play strategy in several ways to avoid this problem that can sneak up on you rather quickly. The number one thing to do I believe is to practice “hit and run.” My natural inclination when attacking monsters was to get them completely cleared out. In other words if on the first roll I killed say two of three minions at a site I would keep rolling until I got the last. Now, I know I need to move on more quickly to maximize my effectiveness. You simply must go after any spot that has three minions on it. However, even if you don’t initially get all of them move on to the next spot and hit there too. Typically, many adjacent spots will be loaded with minions so moving quickly to each one and rolling only once is the best strategy. I typically won’t bother hittig a site unless I am rolling at least two dice and preferably three. A site with three minions is in danger of immediate tainting whereas a site with only one is safe. Remember as well, that a site that is already tainted can be tainted again and again, so any site with three minions, even a tainted one, should be addressed asap. By not getting distracted by low minion sites you can move quickly around the board to true trouble spots. In Defenders of the Realm you have to maximize your moves so don’t become fixated on perfection, instead practice hit and run to keep the land clear of taint even if it isn’t perfectly clear of minions. Technically you can keep track with a suggested scoring system to determine which defender of the realm would be honored at the end of the game as the top defender. I heartily encourage you to not do that. Frankly, it is the one thing that seems out of place in this great co-op game. Defenders of the Realm gives you a role-playing feel in a true board game and in the tradition of heroes, typically all get recognized and celebrated at the end for their unique contributions rather than being divided and ranked. I think the great co-op spirit of the game really deserves to be protected and consequently we always ignore figuring who was the “winner” – we win (or go down fighting) together. I might note in addition, that by not worrying about the scoring you can more strategically determine who the slayer (the character who strikes the killing blow) is likely to be of each general and thereby put your team in a better position to ultimately win (i.e. the special abilities gained from striking the killing blow are best utilized if each character has one rather than one character “hogging” them all). While I can’t claim to have a massive number of games to reflect on, I have looked for patterns in the victories (and losses). The pattern that jumps out is mobility and not from the characters chosen but instead from magic gates. This game demands that you cover the entire board at different times (particularly East – West and you typically must go back and forth). Therefore, it is more than worth your time to establish magic gates at both ends of the board to facilitate quick movement from one end to the other (or to the middle with the gate you start with). Thank you! Lots of key entries. Shadowrift fans will want to know that the Kickstarter now has a Party Mat that you can add on for $19. It is certainly tempting as it likely will add to the game. There was bad information put out by reputable sources regarding the Shadowrift expansion. It was being said that the expansion made the game all against one but that is NOT true…and I am very excited that Shadowrift will continue being a pure co-op. Consequently, this expansion becomes an auto-buy for me. I hadn’t heard of Draco Magi but having now watched the videos on the kickstarter site I probably will bite. Great price point for entry! And, of course, you just have to support Tom! Lots of great additions here. I love seeing Academy Games getting covered. Thanks! I hate to complain but why no Academy Games? Would love to see 1775, 1812, and Underground RR. Rise of Augustus almost won the Spiel but also getting no love here. I’m surprised Legends of the American Frontier hasn’t funded faster. I hope it gets some more love as I was impressed with the game demo that you can watch on the site. Components look fantastic and seems to offer a fun game with theme dripping out of its pores. Richard Launius is a proven designer as well. Please bring back the “Recent Tips” and “Recent Discussion” tabs that used to come up with the “Recent Reviews” tab. Why did these go away? Fans of Defenders of the Realm would probably be interested to know that Richard Launius has created a new battle game that takes place in the Defenders universe. If interested you can check it out on Kickstarter. This game just became available for pre-order and should be in stores soon. Granny, did you get any more chances to play? What did you think? Imbalanced or no? Fun? Unfortunately, I think I’m a bit late to try to truly join in all of the Heroscape goodness but I’m thinking seriously of purchasing the Marvel Heroscape set to play with my son. Does it come with enough stuff to make this a wise stand alone purchase or would I realistically need to invest in more sets and extras for us to have much long-term fun with it?